Home / Salvage Ideas / Christmas Kitchen Creations! Home / Salvage Ideas / Salvage Ideas / Christmas Kitchen Creations! We all know we live in the kitchen during the Winter months; hibernating in the warmth with well timed trips to the fridge between tv episodes. So what better time to begin to reinvent the look of our favourite room in the house… The kitchen! Reinventing your entire kitchen can be a big task, so we’ll look today at how you can bring your kitchen into 2018 with only a few small changes. As the saying goes “too many Chefs spoil the broth”, so if there is one key point we can make today it’s simplicity. 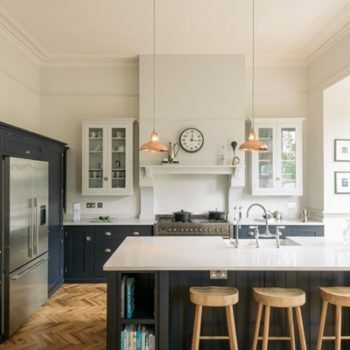 Although it can be tough to adhere to this with so many necessary utensils and appliances in the modern day kitchen, a quick way to simplify the overall look of your kitchen is by adding a strong colour scheme. By introducing a single colour to your kitchen, be it through matching accessories or repainting the walls, you create a sense of flow and continuity that is pleasing to the eye. To keep your new colour scheme on trend, go for elegant tones of grey with just a hint of green or blue. Another fun way to bring the life back into your kitchen is by focusing on one area and making it the main feature of the room! This can be easily achieved by simply picking new lighting fixtures or replacing that tired, stainless steel sink. At the Dorton reclamation yard in Burgess Hill we have many Victorian era butler sinks that will bring your kitchen right on trend. Made entirely of porcelain and available in all sizes, these timeless pieces will bring an amazing sense of character to your kitchen. 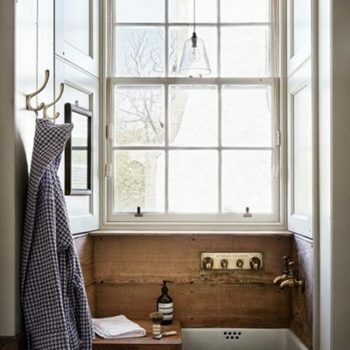 Compliment your sink with a stunning wooden worktop and suddenly the whole family will want to wash the dishes! With so many useful websites at your disposal finding the right items for your kitchen can be difficult. Remember to stay focused on simplicity! 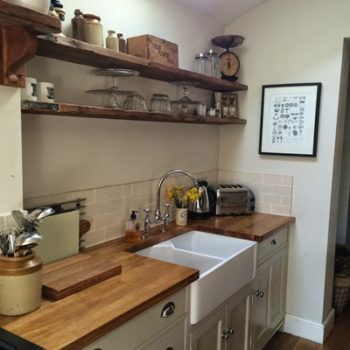 If you are looking to update your kitchen with a larger feature, but not sure where to start, call in the professionals such as local woodworking and interiors business The Wood Shed. 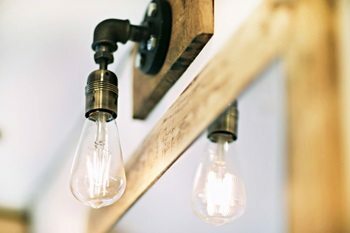 In just a few weeks you could have your new worktop cut around a beautiful butler sink, or even a stunning wooden light fitting hanging from the ceiling! Previous post: Christmas Craft Salvage Ideas!